Flower cupcakes, originally uploaded by kylie lambert (Le Cupcake). Beautiful as always. I delight in your creations! No puedo creer lo que estoy viendo!! Qué hermosuras!! Estoy enloquecida con tu blog.! !Felicitaiones desde La Plata, Argentina!! Besitos!!!!!!!!!! Those cupcakes are amazing. What a talent you are. 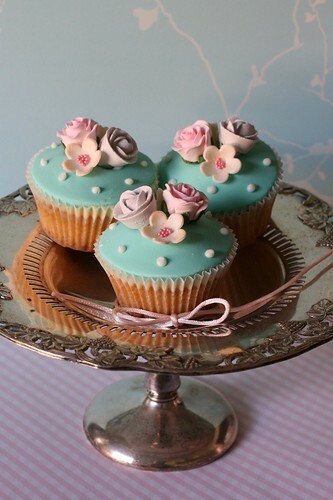 Elegantly decorated cupcakes. Youre so creative. I love your work, your flowers are beautiful, I love to learn to do them. You're amazing and an inspiration. Congratulations on your art. Laura from Spain.